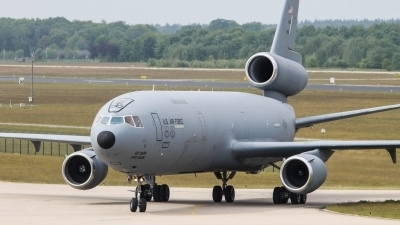 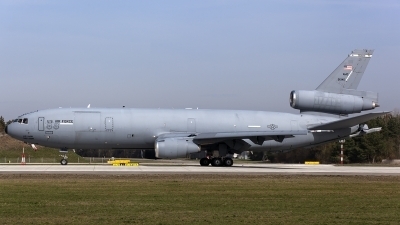 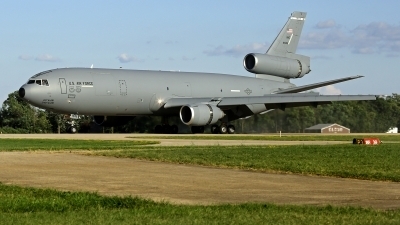 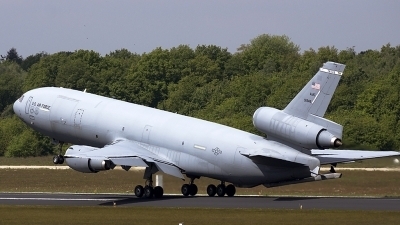 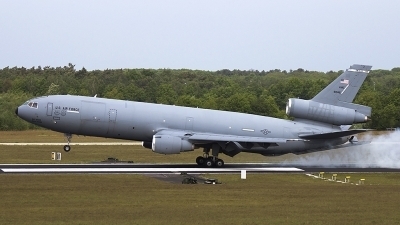 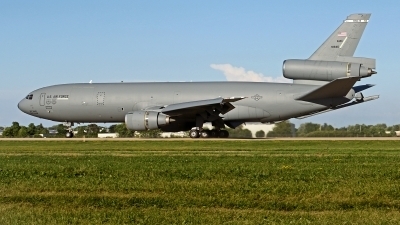 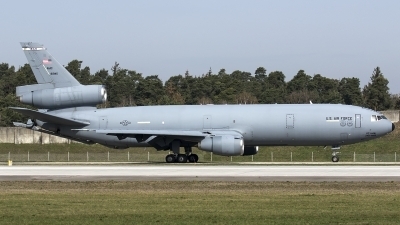 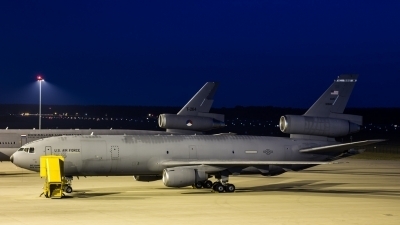 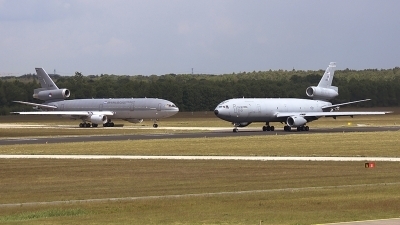 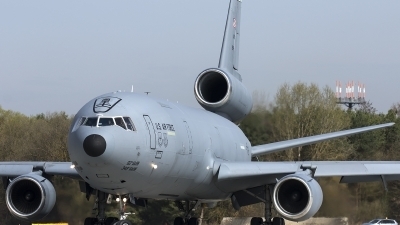 KC-10 Extender sits on the Hickam ramp. 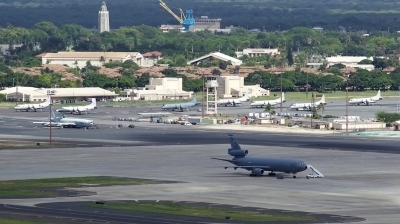 While behind sit an E-3 AWACS and 2 JMSDF P-3s 1 RCAF Aurora, and 4 USN P-3s all RIMPAC 2016 participants. 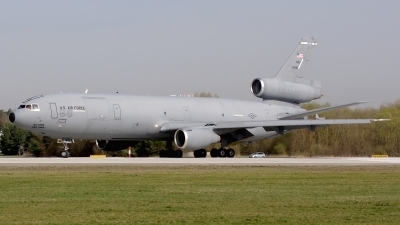 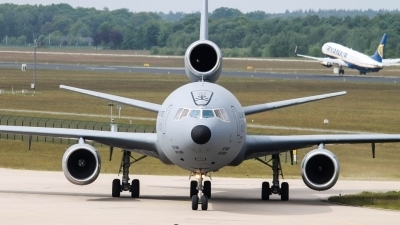 From the 60th AMW and 349th AMW based at Travis AFB, CA; together with KLu KDC-10 #T-264.